As many of us were baking pies and whipping up marshmallow-laden sweet potato casseroles and other carborific dishes for our Thanksgiving feasts, the sugar industry was coming under fire – again – for for operating by Big Tobacco’s playbook. show that in 1968 a trade group called the Sugar Research Foundation, known today as the Sugar Association, funded a research project on animals to shed light on the connection between sugar and heart health. But when the research pointed to a mechanism by which sugar might promote not only heart disease but also bladder cancer, the industry group ended the study and never published the results. As the authors note in their analysis of these documents, recently published in PLoS Biology, this is hardly an isolated incident. Our study contributes to a wider body of literature documenting industry manipulation of science. Industries seeking to influence regulation have a history of funding research resulting in industry-favorable interpretations of controversial evidence related to health effects of smoking , therapeutic effects of pharmaceutical drugs, the relationship between sugar-sweetened beverage consumption and weight gain or obesity, and the causes of climate change, among other issues. The tobacco industry also has a long history of conducting research on the health effects of its products that is often decades ahead of the general scientific community and not publishing results that do not support its agenda. This paper provides empirical data suggesting that the sugar industry has a similar history of conducting, but not publishing studies with results that are counter to its commercial interests. What the Sugar Papers show is that the industry was essentially uninterested in science. Instead, it was interested in getting people to eat more sugar by painting sugar consumption as anodyne in its health effects and, just as important, by painting fat consumption as dangerous. As far back as 1954, the president of the Sugar Research Foundation, Harry Hass, gave a speech in which he explicitly said that the challenge for the “carbohydrate industries” was getting Americans to eat less fat, so that they could then eat more sugar. In that speech, Hass talked of teaching “people who had never had a course in biochemistry . . . that sugar is what keeps every human being alive and with energy to face our daily problems.” The sugar industry’s research and public-relations campaign—costing what would amount to some $5.3 million today—sought to make that happen. It was powerfully effective. Unsurprisingly, the sugar industry also did its best to warp dental research, as well – a fact documented by these same authors in 2015. In this case, industry cuddled up with the National Institute of Dental Research (NIDR) and came to shift their focus away from sugar’s link to dental health. 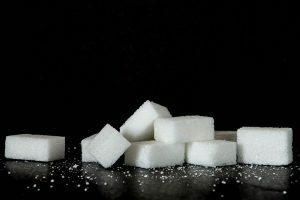 Instead, they worked directly with the NIH to set research priorities that favored the sugar industry—at one point, the NIH incorporated 78 percent of sugar industry research priorities into its own request for research proposals. 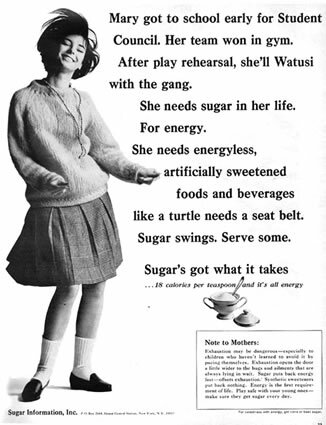 And in 1969, the NIDR downplayed sugar consumption in a statement that all but abandoned any attempts to research a sugar-cavity connection. Yet the documents make clear that the NIDR knew full well that you could prevent decay simply by quitting sugar. After all, sugars are the favored food of the bacteria and other pathogens involved in the decay process. Starve them, and they won’t generate the acidic waste that destroys tooth enamel and allows infection to spread inside the tooth. But quitting sugar is a hard thing to sell. So attention turned to things like the search for a caries vaccine and compounds to inhibit the formation of plaque by bacteria and other pathogens. Instead of addressing the cause, public health officials wound up chasing after symptoms through measures such as fluoride – and not being all that effective. For as recent research confirms, at best, topical fluoride may limit the damage sugar can do. It doesn’t prevent it. Caries remains the number one chronic, infectious disease among children and one that affects over 90% of adults in their lifetimes. Now here we are at the beginning of the holiday season, when sweet treats are everywhere – cookies and fudge and candies and more – along with many carb-rich foods, which your body digests as sugar. Not only are these foods part of the season; they’re often part of our family traditions, as well. Tradition isn’t something we like to give up. But we can practice moderation – and make sure to practice good oral hygiene through the holiday season and beyond. Here are some tips for controlling your sugar intake over the holidays.